Hugh Jackman will take on the role of one of X-Men’s most popular mutant for one last time in the untitled 2017 film. Fox Studios will have quite a challenge finding someone to fill Hugh Jackman’s shoes. We are not even sure if we would be able to picture anyone else as Wolverine. The Infamous bad boy of both TV and film, Norman has the gritty looks and if given the right amount of time, he can transform himself into Wolverine. Norman already has millions of fans. If we compare him with the original comic book version of Wolverine, he stands at the correct height and has the caliber to do justice to the role. The only problem with this choice is his age, even if he pulled it off we doubt that he will able to keep it up for long. Harington, aka Jon Snow from popular TV series Game of thrones can probably, go on to become the wolf of the Marvel Universe as well. He certainly has the height, Good looks, fan following and the perfect physique that can totally be worked upon to match the demands of the role. If Kit lands this part, he can probably keep doing it for a long duration, given the fact he is only 29. You have seen him in the Source Code, Southpaw, Donnie Darko and Prince of Persia. Although Prince of Persia received a lot of flak from the gaming world, Jake’s acting was right on the money. He was even part of the 2014 flick Nightcrawler for which he won many Best Actor awards. We have even seen his totally ripped out body in “Southpaw”. So we all know that he can do it. He is still in his mid-thirties, and as Wolverine, Jake just fits. He is the son of the legendary actor James Caan who we know played the role of Godfather’s older son Sonny Corleone. Scott Caan certainly can act. He has got the right features that can easily be imagined as wolf-like by just adding few mutton chops and adamantium claws on him. Who does Liam remind us off? Ohh he looks exactly like Thor but he really isn’t. Liam is the younger brother of Chris Hemsworth who we all love and admire like anything. Chris found a role that fits him like a glove within the Marvel Universe. It is high time Liam found one too! Can he be the next Wolverine? He sure as heck looks like the comic book version of Baddie Good Daddy. Although he is a lot taller than the lot but he is just in his 20’s. Just a fan art. He is not the next Wolverine. 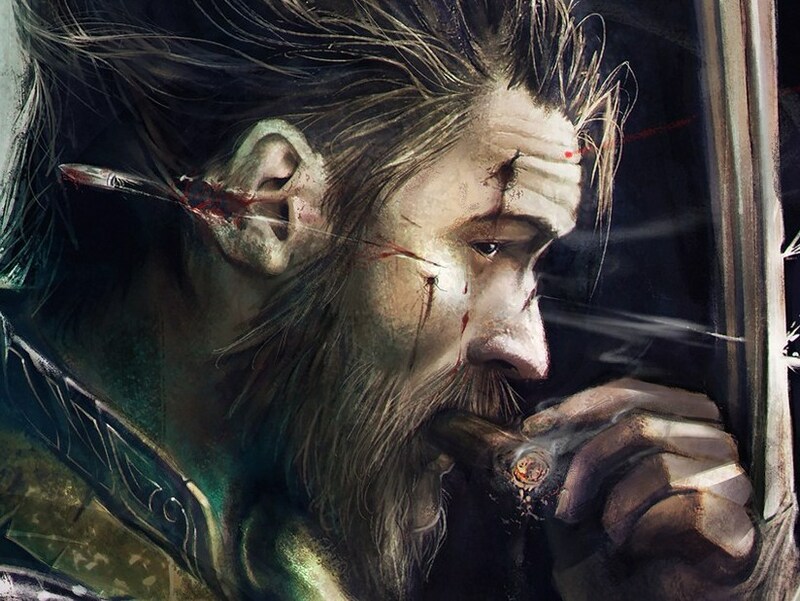 But doesn’t that fan art give you the vibes that Tom Hardy is the guy to whom Hugh Jackman can pass his torch down? Tom hardy is incredibly versatile and can take on almost any role. Remember him as Bane in The Dark Knight Rises and Max in Mad Max: Fury Road? This is probably the one guy the world would love to see as the next Wolverine. One thing is for sure, who ever gets chosen for the job will have really big shoes to fill. It's never easy to meet people’s expectations and please everyone at the same time. Hugh Jackman perfected the role and made it his own. It’s going to take an extraordinary performance, to make us all fall in love again! Got more suggestions for the next Logan? Share with us in the Comments below!